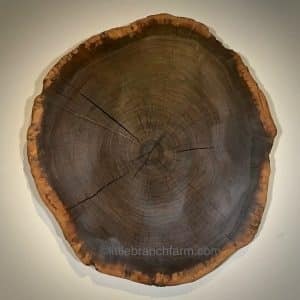 This burl wood wall are is 32″ x 32″x 2″ and shipping is free within the USA. 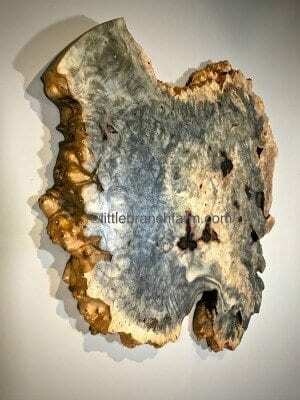 This wall art is sold but we have other burl wood slabs available. 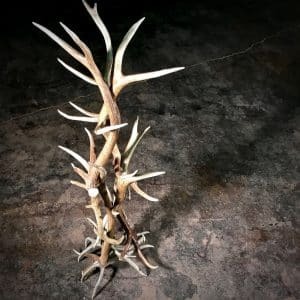 Each piece is a one of a kind. Call or email to discuss options. 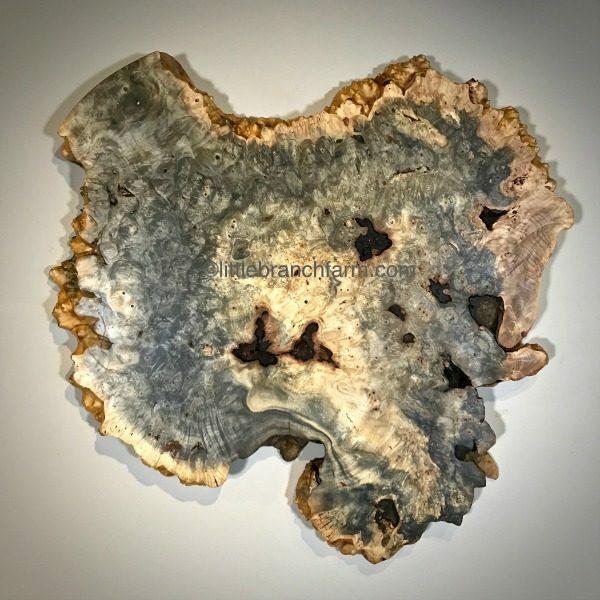 Rare natural burl wood wall art features a buckeye burl with a natural wood edge. 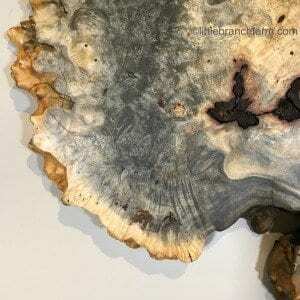 These burl wood slabs are also known for great color tone and complex burl wood grain pattern. 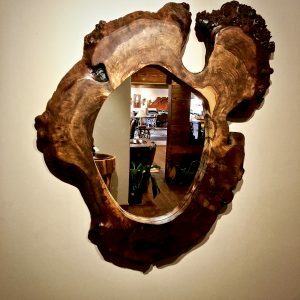 Whether it is a burl wood wall art or custom burl wood furniture we have you covered. 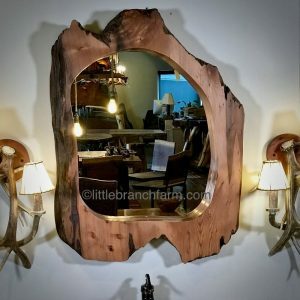 Our style rustic furniture is built from live edge wood, driftwood, logs, and burl wood native to the USA.